What do the term “Carbon Footprints” actually mean? The total amount of greenhouse gases which are produced to support human activities directly or indirectly, usually expressed in equivalent tons of carbon dioxide (CO2). In other words, When any one would drive a car, as the engine burns fuel which intensely creates a certain amount of Co2, depending on the fuel consumption, (CO2 is the chemical symbol for carbon dioxide). Whenever, we heat our house with Oil, gas or coal, then it also generates a huge amount of CO2. Also when we purchase some quantities of foods and goods, within the foods and goods contains some amount of CO2 composition. For each (UK-) gallon of petrol fuel consumed, 10.4 kg carbon dioxide (CO2) is emitted. For each (US-) gallon of gasoline fuel consumed, 8.7 kg carbon dioxide (CO2) is emitted. If anyone’s car consumes 7.5 liter diesel per 100 km, then whenever we can drive about 300km distance 3 x 7.5 =22.5 liter diesel, which adds 22.5 x 2.7 Kg = 60.75 Kg CO2 to your personal carbon footprint. Try to Travel Public Transportation (train or bus) mostly a distance of 10 to 12 Km (6.5 to 7miles). Production of 5 plastic bags is recommended. Production of 2 plastic bottles is also considered. 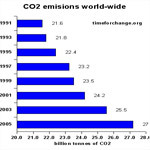 It is clarified that carbon dioxide is one of the greenhouse gases which is responsible for the rising of global warming. Some other greenhouse gases are like Methane and Ozone etc. These greenhouse gases are normally taken as the carbon footprint. They are converted into the amount of CO2 which can also cause the same effects on Global Warming ( this is called equivalent CO2 amount ). 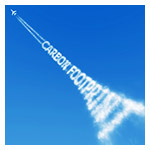 The carbon footprint is a powerful tool to understand the impact of personal behaviour on global warming. If we really want to prevent the rise of global warming, then the constant monitoring of our personal carbon footprint is essential. The term “Global Warming” is given to the phenomenon where there is an increase in the temperature of the earth’s surface. It occurs due the release Of greenhouse gases like carbon dioxide, water vapour, nitrous oxide and methane in the earth’s atmosphere. 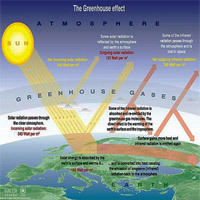 These gases trap excess heat and light from the sun which mainly causes a global warming of the earth. Global warming was recognized by scientists and meteorologists in the mid 20th century. The increase of these gases is mainly caused by the human activities such as burning fossil fuels and deforestation. HOW DO GLOBAL WARMING AFFECTS THE ENVIRONMENT? 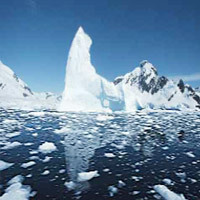 The global warming has several effects on the natural environment. As the temperature is intensely rising at an alarming rate on the earth, the polar caps are starting to melt. This in return is causing in the rise of the sea levels which in turn will cover some low lying land. This is responsible for the various deaths Of marine species as well as human existence. The changes in the earth’s atmosphere are also contributing to changes in weather patterns. This means that both droughts and floods will more occur as the rain patterns intensely converts. This also means that the occurrence of hurricanes, Severe thunderstorms, hail and acid rain will increase. 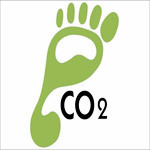 How does Carbon Footprint cause Global Warming ? 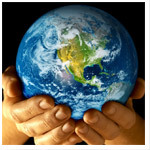 We all know that Global warming is mainly caused by the emission of greenhouse gases. The total composition of the greenhouse gases which would released mostly consist of 72% of carbon dioxide (CO2), 18% of methane and 9% nitrous oxide (NOx). Carbon dioxide is mainly evolved by burning of fossil fuels like oil, natural gas, diesel, organic – diesel, petrol, ethanol. The emissions of CO2 have been rising up dramatically within the last 50 years and are still increased by almost 3% each year. In the modern world, there is no guarantee that the earth would be revived from the such destruction. But we should aim to reduce our carbon footprint to 2 tons per capita per year until 2050. This means that the industrialized nations will have involved in reduction of carbon dioxide emissions to values about 10% to 20% Of the current values.